When we think about retirement, images come to mind of a gray-haired guy with a fishing pole, spending all day on a lake somewhere. But, in addition to more time outdoors, it also represents a new way to pay for our day to day lives. That’s right, retirement is a change for both our calendars and wallets. For thirty, forty, or even more years, we’ve been trained to “save, save, and save some more”. As financial advisers, we’ve found that it’s really hard for people to spend their life savings. So how do we create a mind shift? Let’s assume you’ve figured out the first (and most important) step to planning a retirement – you have a basic idea of what you want to do (And if you don’t have an idea, check out this post) Now it’s time to figure out how to pay for your hopes and dreams! First thing’s first, you’ll need to set a budget. Yes, we realize that you might not have done this since you were a newlywed. However, due to the length and severity of a retirement, it’s crucial that you dive deep into your lifestyle. It’s easier to make income and expense changes while you still have a job, instead of course correcting when you are in your 80s or 90s. We recommend creating a budget looking at your life right now, as a working person. 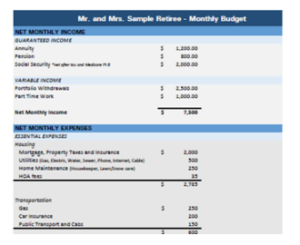 We have a great template to help clients start figuring out a retirement budget. When you retire, it’s important to recognize that certain expenses may change, but others may not. For example, you might think that your spending on going out to lunch will drop to zero – but, that certainly might not be reality if you have more free time! Say, for example, you want to travel and start blogging about your adventures. You’ll need to figure out how often you’d like to go on trips, and costs of things like blog site maintenance, tech support and camera equipment. For purposes of this exercise, no need to get into super deep specifics like “what if I become a famous blogger?” But, it’s important to quantify, approximately, how much this new venture might cost out of pocket ongoing. We think about budgeting in a slightly different way than most. Yes, we still think some expenses are “mandatory” and others are “discretionary.” But, when you’re saving for the retirement you really want, it helps to add in a layer to the “mandatory” column. We refer to retirement expenses as Essential, Variable, and Discretionary. 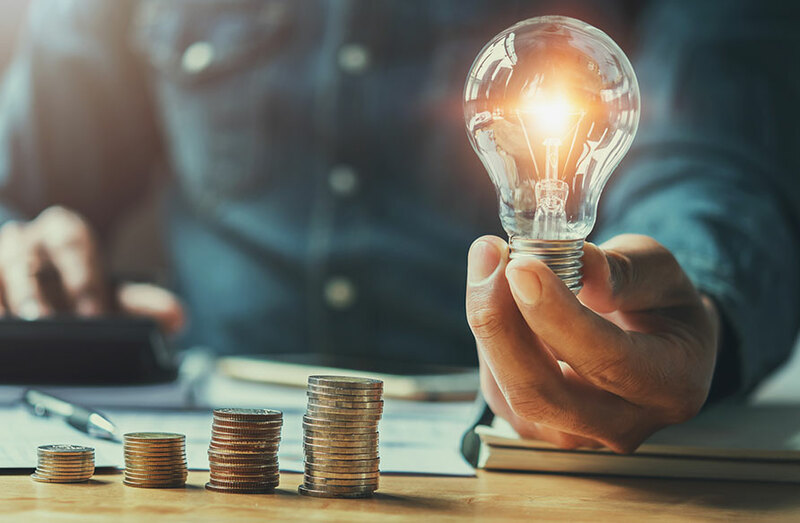 Essential and Variable expenses take care of you (and are “mandatory”), whereas we think of Discretionary expenses as how you can help others more substantially. How do you determine if an expense is essential or variable? Ask yourself the following honest question: If I had a major financial loss, what expenses could I actually not live without? Anything that you could honestly not live without (shelter, gas, groceries, insurance) is considered essential. A variable mandatory expense is a non-extravagant extra. Of course, we’d like to protect this outflow as much as possible, but these variable expenses could certainly be “cut” if necessary. Thinking about expenses in these terms helps you create two “floors” when redesigning your retirement paycheck. A floor means that, regardless of any external forces, you’ll receive a specified amount of income, intended to cover essential and variable needs. The more resources available, the larger that floor becomes. So, what about discretionary expenses? These compose the third layer of our retirement cake. Discretionary expenses are additional expenses above and beyond what you spend currently. Some examples include taking the entire family on a fun vacation; gifting money to the grandchildren; or making extra donations to your favorite charity. Say we determine that you currently spend $80,000 per year as a working couple, and would like to spend an additional $20,000 per year in retirement pursuing a travel blogging dream. We’d first divvy up the $80,000 into essential vs variable expenses. We then determine that essential expenses are $50,000, and variable are $30,000. The first “layer” of your cake to protect are your essential expenses; then $30,000 of variable, and finally, $20,000 of discretionary expenses. Before tendering your resignation, it’s important to understand your future resources. This includes guaranteed retirement income sources (such as a pension, social security, or annuity), as well what your savings can generate for you (ex: how much can I take out of my 401(k) ongoing?) Some folks like to make sure their guaranteed income sources perfectly cover essential and variable expenses. Others do not want to tie up too much of their savings for this guarantee. There are certainly pros and cons to either method, and it’s important to meet with an adviser and generate a plan to figure it all out! Does this mind shift sound interesting to you? Would you like to receive our budgeting template? Feel free sending us an email at info@prismplanningpartners.com and we’d be happy to talk!